Enjoy downloading the St. Patrick’s Celebration Vol. 2 Flyer Template created by Awesomeflyer! Super easy to edit, all well organized in folders with names, you can easily change Texts, Colors, Add/Remove objects to this layered PSD. Is very simple add your own image. All text can be edited. 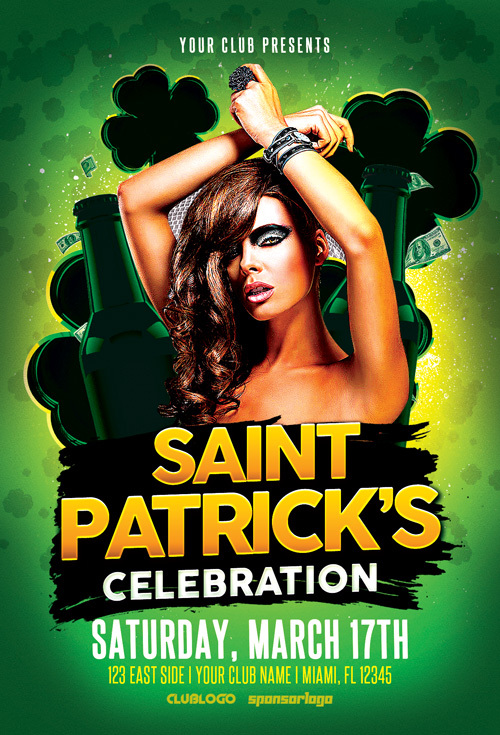 Enjoy downloading the Saint Patricks Day Party Flyer Template!